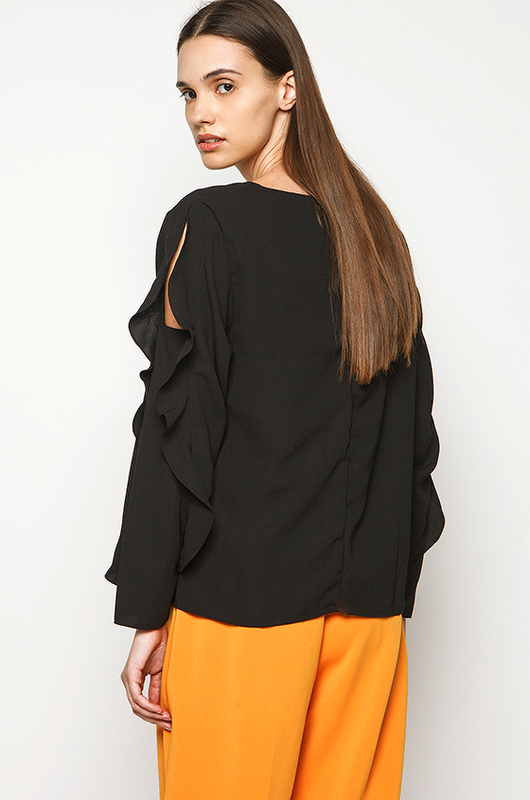 A classic top made special with chic details. 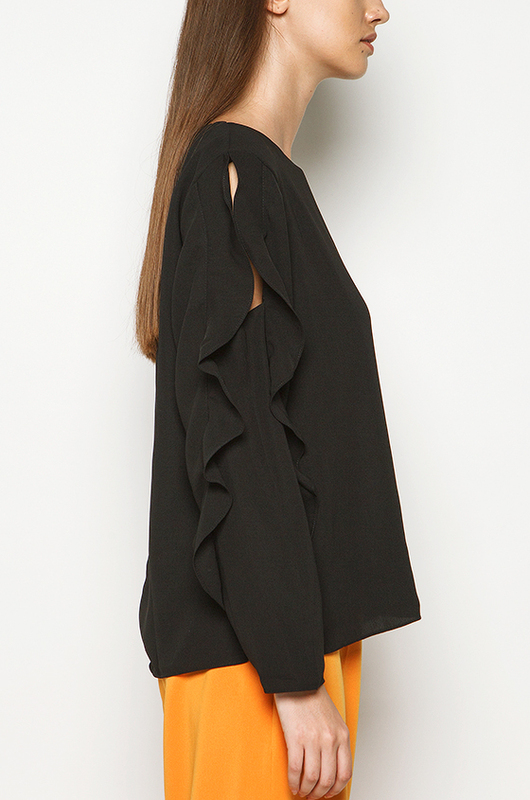 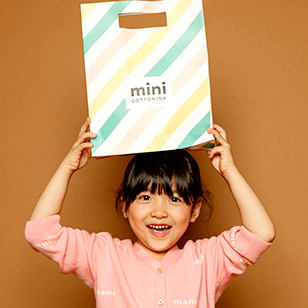 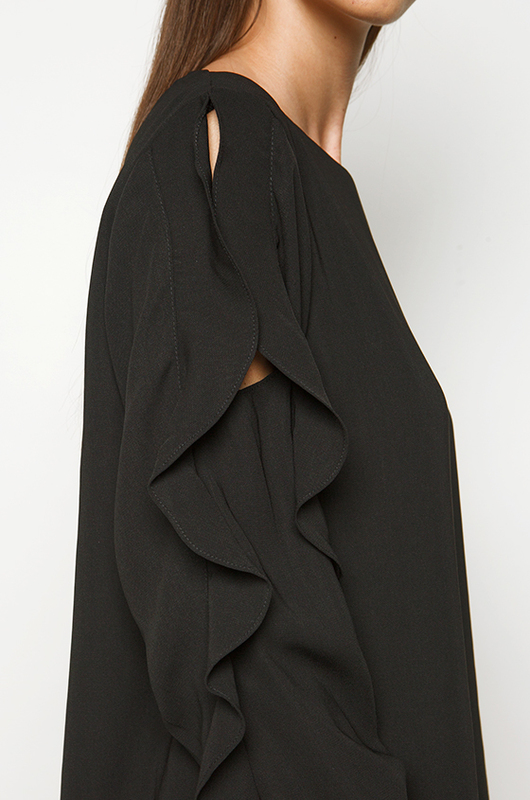 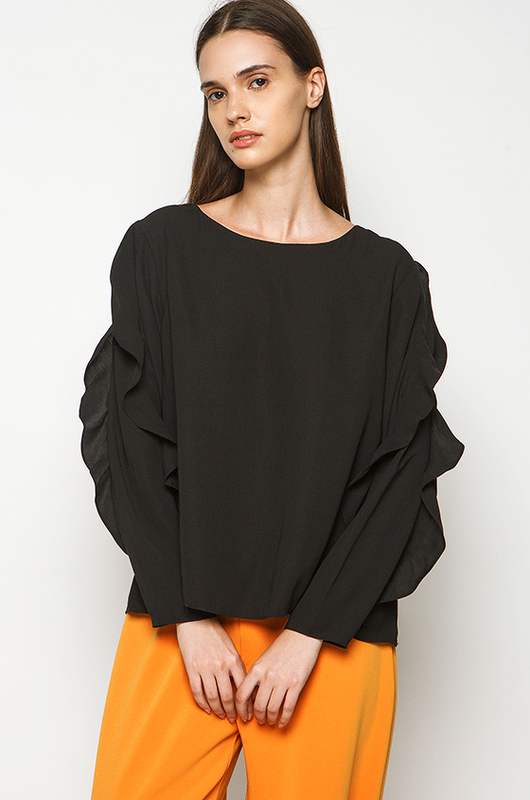 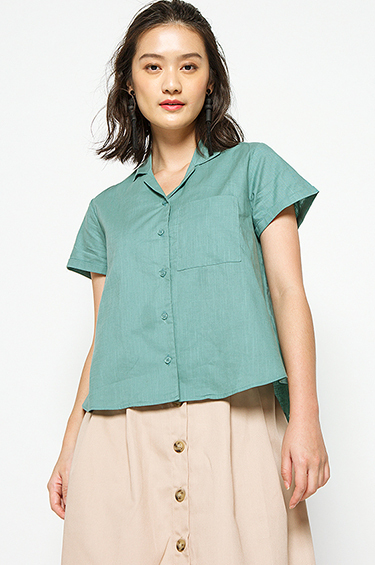 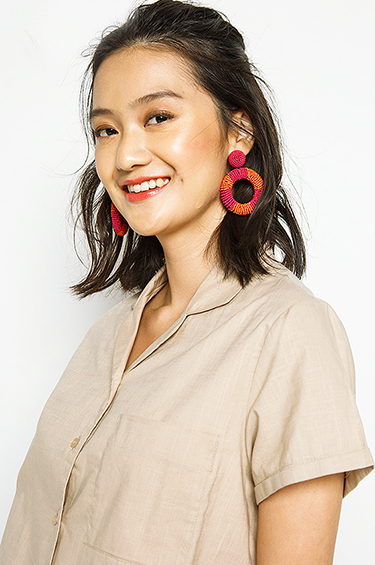 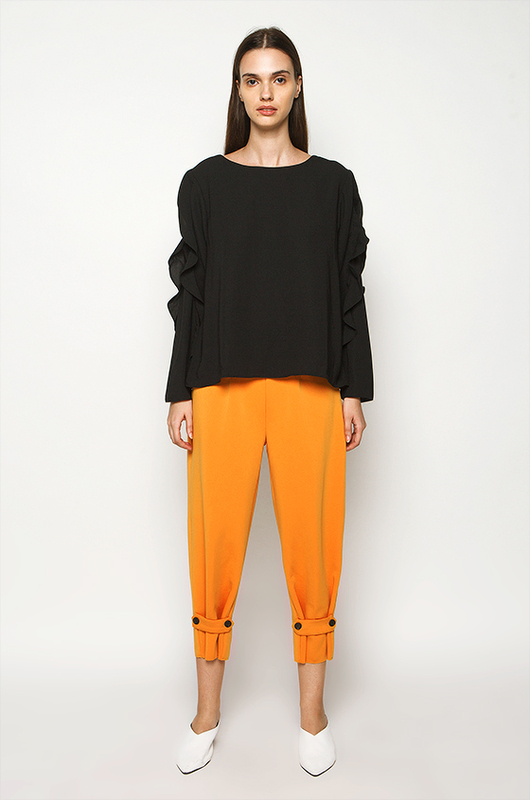 This top is crafted from breezy crepe and designed with ruffled sleeves. 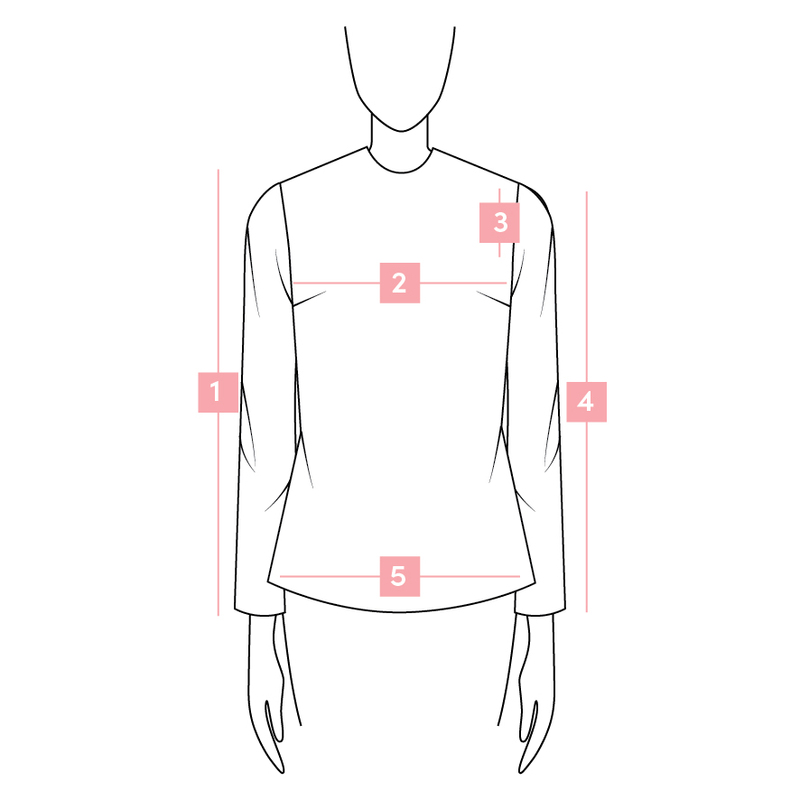 Fully lined and features boat neckline and back zipper opening.